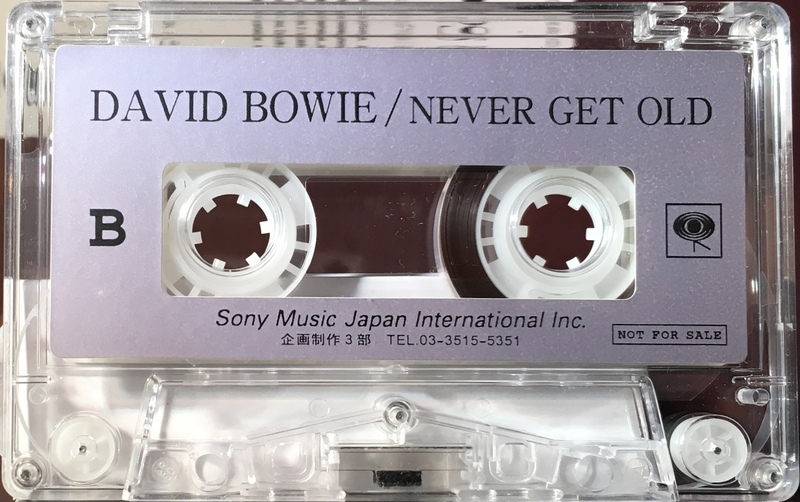 Never Get Old: Japan; Sony/ Columbia; 2004. 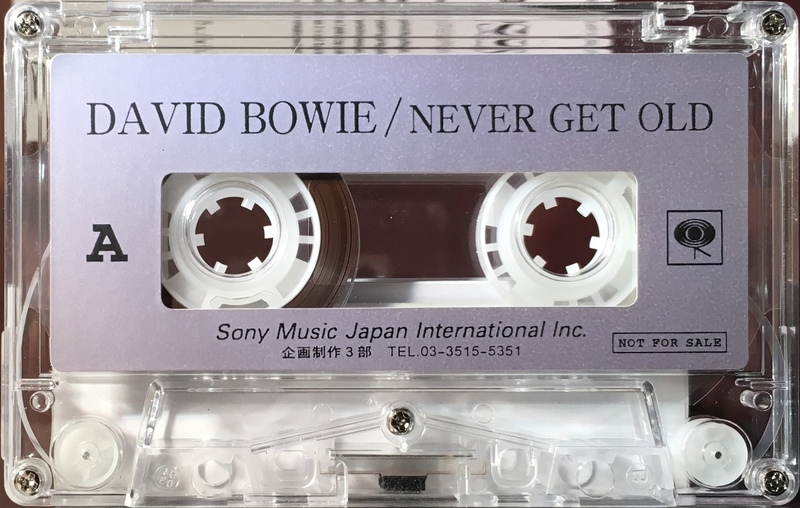 Black text on a silver label on clear case, label marked Not For Sale. Side 1: Never Get Old; Love Missile F1-11. 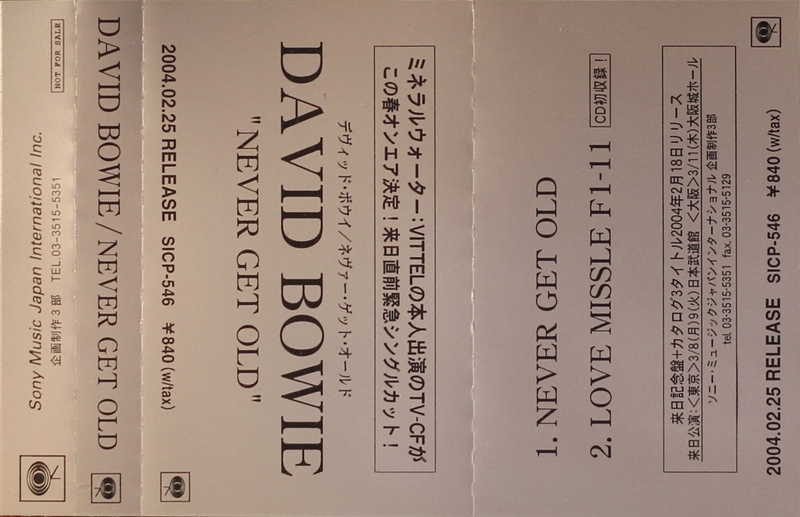 Side 2: Never Get Old; Love Missile F1-11.